This Tater Tot Casserole Recipe is seriously everyone’s favorite in the house. My kids can throw this one together on their own and it requires pretty much no thought what so ever! My son Michael loved to learn how to make Tater Tot Casserole as he has developed a passion for the kitchen thanks to all the cooking shows. The main thing he still needs help with is the and even spreading soup mixture. Watching him cook you can just see the pride in what he is doing. This can be changed up to make different variations to suit any taste. I have made up Turkey Tater Tot Casserole and plan to make a chicken one in the future as well!! Plus since I freeze browned ground beef (see my post ->here about it) it’s easy to have the ingredients ready to go. 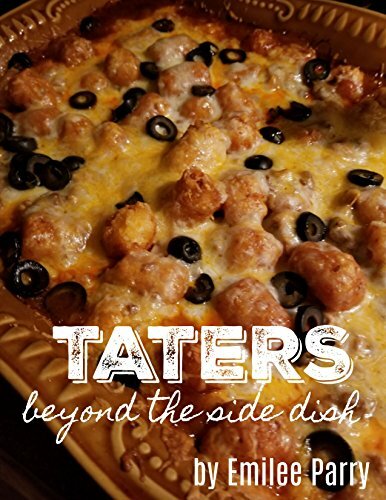 This Tater Tot Casserole Recipe is the perfect frugal easy weeknight recipe that everyone will love plus you can slip in vegetables in it as well! What is your go-to casserole for dinner? I usually bake it according to instructions on the tator tot package. I also use American sliced cheese instead. My family prefers it over cheddar. I precook a bottom layer of tots as i cook the meat mixture. Then i assemble the casserole and throw more tots on top and bake about 25 min. then add some shredded cheese to the top and bake another 10 min. I love how my bottom layer of tots get crispy. I also use 2 cans of cream of mushroom soup and no milk, and i use a big jar of cheez whiz mixed into my meat and soup mixtured (mixed together). When I make tater tot casserole I always put the tots in the oven while I’m cooking the hamburger and making the cream of soup mixture. That helps make sure the tots are completely done. Plus I like my tots to be on the crispy side. This looks like a great comfort food! I’ll be pinning to try this one for sure! It is one of my kids favorite recipes in the fall when it cools off enough to use the oven. Thanks of stopping by! Nice to have grammar correction from someone that spelled “recipe” wrong huh? Proper punctuation? Nah… Sam didn’t need that either to come out looking a little uneducated. We use cream of celery soup and a big can of chicken with stars the cheese depends on our mood we have used cheddar,mozzarella,Mexican Blend,etc. sometimes a blend of them and we bake ours for around 30-35 minutes just until the cheese on top starts turning a nice brown. right down to the great grandchildren love it. I love how much you can change this recipe up. Those are great variations thanks for sharing!! I make this all the time but I put the tater tots on the bottom and cook on 350 while I’m cooking hamburger meat. I take them out then put the meat on, the soup, and top with cheese. Cook on 350 till cheese is melted and golden brown. I don’t ever have an left overs. If I don’t hurry then sometimes the family (kids) don’t leave me any. I make this frequently. I dice an onion and cook with the hamburger, seasoning with garlic, salt and pepper. I use 1 can cream of chicken and 1 can of cream of mushroom. I also add 1 cup of sour cream. I bake at 425 for about 25-30 minutes and then sprinkle with shredded cheddar after its finished baking. This is one of my family favorites. I also use a package of Lipton’s onion soup and sprinkle over the hamburger before I assemble my casserole. Sounds yummy! Pinned to my Football Food Board! My husband will love it! 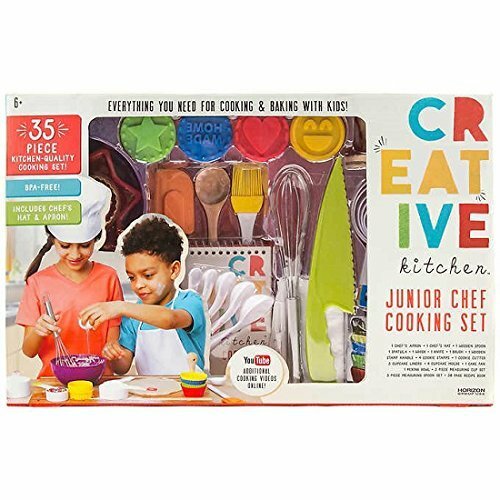 I love how all the cooking shows help influence our boys to want to cook… and that it’s cool, too. 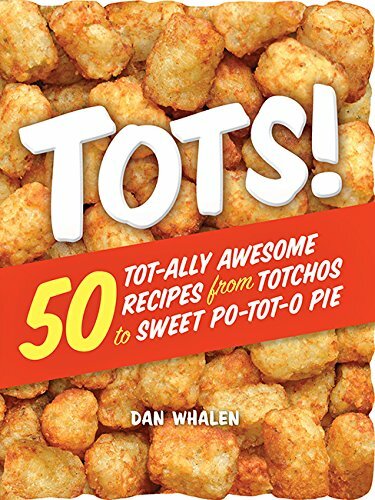 This tot dish is going to be a very popular with my boys, for sure! I made a tater tot casserole for the first time a few weeks ago. My husband and I both really liked it. Great comfort food! Thank you for sharing yours! First made this in the early 70’s in home ec. I layer tots, burger, veg, soup and repeat and cheese on top. Cook covered in deep casserole for an hour at 325. I add a layer of sourkraut over the hamburger also! If you like kraut! My mom’s recipe uses canned cheddar cheese soup that way it’s poured over everything. That sounds amazing!! What a great idea I am going to have to it out that way! I have made this many a times. I sometimes added peas on top of the hamburger and then added the soup tots That you have your veggies also. for a whole meal. I love how easy this is to throw together! Comfort food at it’s best. Eveyone loves tater tots. I had tater tot casserole for the first time just a few years ago. I was surprised just how good it was! I can’t wait to make it myself now!